"The best thing I can do is lead this company," Stumpf told CNBC on Tuesday when asked about calls for his resignation. 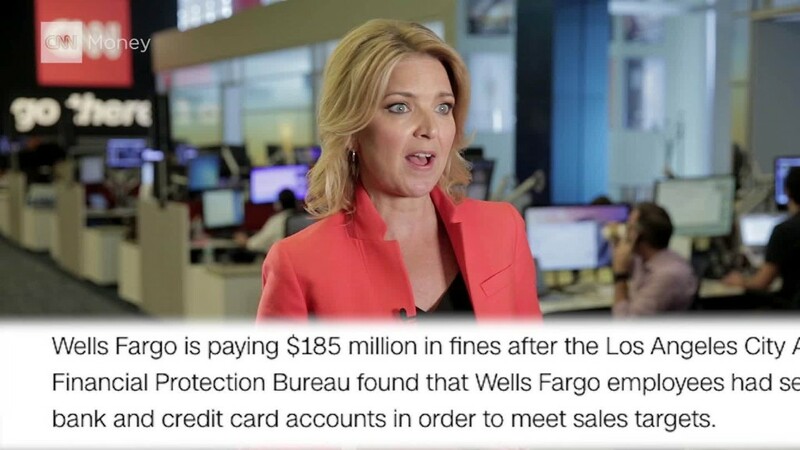 It was the Wells Fargo (WFC) boss's first television appearance since last week's bombshell settlement in which regulators accused the bank of creating more than 2 million fake bank and credit card accounts. "We deeply regret any situation where a customer got a product they didn't request," Stumpf said. "The buck stops with all of us, including me. I am the leader." The scandal has amounted to the biggest criticism of Stumpf since he became Wells Fargo's CEO in 2007. Not only did the bank get slapped with $185 million in fines last week, but Wells Fargo admitted to firing 5,300 employees over the past few years for improper sales tactics and now faces a grilling next week from Senator Elizabeth Warren and other members of the Senate Banking committee. Stumpf addressed concerns that only low-level workers have been punished for what regulators and employees described as widespread, systemic problems at Wells Fargo. He said that the 5,300 people who were fired included "bankers, branch managers -- and in some cases managers of those managers." Wells Fargo has said it's responded to the scandal by investing in compliance measures like secret shoppers and more oversight. The bank went a step further on Tuesday, dropping the sales goals that employees said led to pressure to open fake accounts. It marked a significant shift by Wells Fargo, which prides itself on "cross selling" customers as many "products" -- like checking accounts and debit cards -- as possible. But Stumpf said Wells Fargo is not abandoning this emphasis. "We still love cross selling," Stumpf said, adding that the bank determined that "one of the tools to get there doesn't make sense any more." The Wells Fargo CEO punted on two of the biggest questions facing his company right now. Stumpf declined to say whether he's had any recent conversations with Warren Buffett or if he expects the legendary investor to sell shares. Buffett's Berkshire Hathaway (BRKA) is Wells Fargo's biggest shareholder. "I'm not going to make any assumptions or proclamations" about Buffett, he said. Stumpf also declined to say he supports efforts to "claw back" the $124 million in stocks and options that community banking head Carrie Tolstedt is set to walk away with when she retires at the end of the year. Tolstedt led the Wells Fargo division that created the false accounts in question and in the past her pay was linked to "cross selling." Despite growing calls to claw back Tolstedt's pay, Stumpf three times said that "to the extent that is a consideration," it would be left up to Wells Fargo's board.